We talked to Sean Thomas on his beautiful LS swapped Porsche 914! Sean’s Porsche has been in the family for a long time as it was originally his father’s. 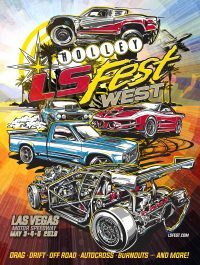 Now all that’s left is for Sean to get some “seat time” and he had no problem doing just that at LS Fest West in the Grand Champion category!